May Bank Holiday Fun at Aldbury May Fair-2017 update! Now I know there's going to be someone in Ohio reading this and thinking "Why on earth is she telling us about an event in a small rural part of Hertfordshire on a holiday we don't even get?" - but I actually think if that person in Ohio could book a plane quickly, the event I'm telling you about might even be worth the trip! 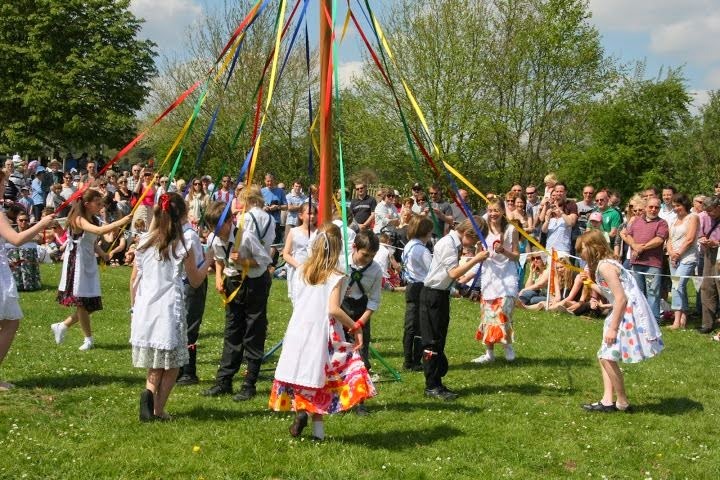 Well I might be biased as it's quite close to home but I do think the May Fair organised annually by people living in and around the picturesque village of Aldbury in between Aylesbury and Hemel Hempstead is by no means a simple fete. So there will be raffles and rides, tombolas and a barbecue with top quality handmade burgers from one of Britains top butchers, craft stalls, games and music. Still sounding a bit fete like? There will be a bounty slide, mini fairground rides and the world famous BBQ. Well maybe not world famous but famous in these parts! New for this year - a gin bar! Now that's my kind of fete! For the traditionalists there will be the crowning of the May Queen followed by Maypole dancing by local children. 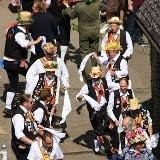 Morris men and folk music will add to the atmosphere and you can pick up some great real ales in the two pubs in the village. The Fair covers the whole village and right in the middle in the churchyard you will spot a zip wire running from the top of the church tower. 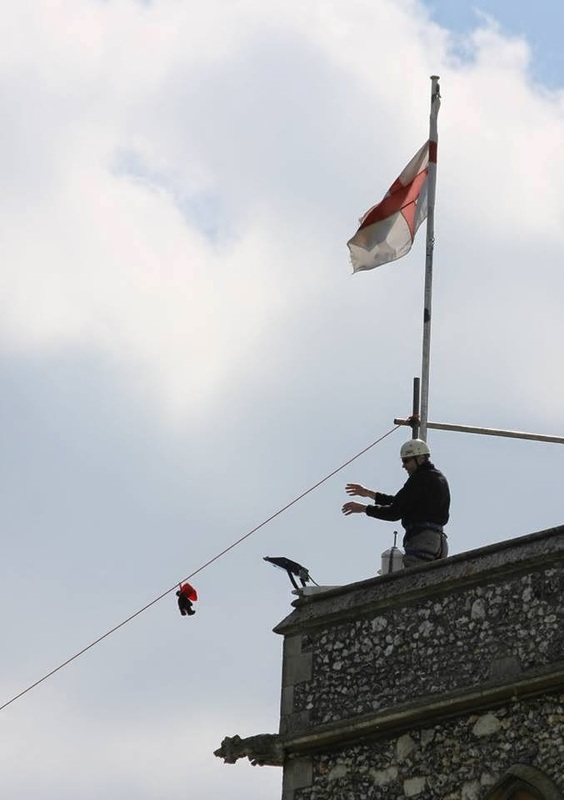 Head that way and take your teddy or buy one cheaply from the stall and name it and watch them as they are fitted with a cape and sent for the ride of their life up the tower and back down the zip wire! If they survive (and we haven't lost anyone yet) they get a certificate of bravery! Even though the village will be busy you will still be able to find tranquil areas in the church and in the beautiful fields and forest surrounding the village. The place may look familiar - it's been featured in many TV programmes and films including The Dirty Dozen and Midsomer Murders. The Fair runs this year (2017) from 12-5 on Bank Holiday Monday May 1. It raises loads of vital funds for local organisations and charities. More details on whats on throughout the day can be found including a timetable of events on the Facebook Page. Funnily enough, my family and I (recent expats from the States to Berko) are from Ohio! 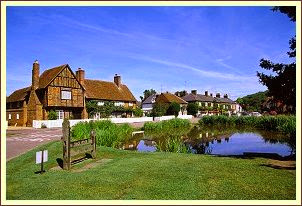 And we are going to the Aldbury Mayfair. Your blog hit its purpose. Thanks!